Cuban business executives are currently in Beijing promoting opportunities in the mining sector with the objective of attracting Chinese investment to the island as a way to develop the industry and expand economic development. 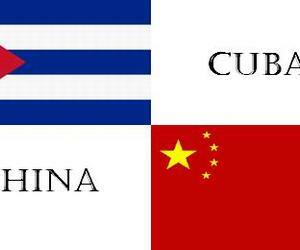 According to Prensa Latina News Agency, the Cuban delegation from the Ministry of Energy and Mining held an exchange seminar on Tuesday in the country’s embassy in Beijing to propose different projects to the Chinese business sector and institutions. The objective of the event is to raise the opportunity portfolio for foreign investment in the Cuban mining sector linked to the nickel and cobalt activity, said Alexis Gongora, Deputy General Director of Mining. He commented that there is a great level of advancement in the project of steel and nickel with the competition of several Chinese companies, in addition to the strong progress with the Metallurgical Corporation of China which are already working on the basis of signed documents. Gongora expressed the years of interest of the Chinese in investing in the sector and pointed out that the mining projects are very much linked to the cost and requires a long term process due to the geological research, test study of the minerals and the search of the technology needed. The Cuban ambassador to that Asian nation, Miguel Angel Ramirez, highlighted that China has been one of the main clients of Cuban nickel in the last 15 to 20 years. Strong friendship ties and bilateral cooperation unites us with China and as reiterated by President Xi Jinping, our nations are friends, comrades and brothers, said the Cuban diplomat. The meeting, held on Tuesday is aimed at among other aspects, to develop the work of geological inspection or research in several regions of Cuba for precious metals (gold and silver), basic metals (copper, lead, zinc) and other minerals of interest.